2011 is likely to be one of the most happening years for role playing game fans. 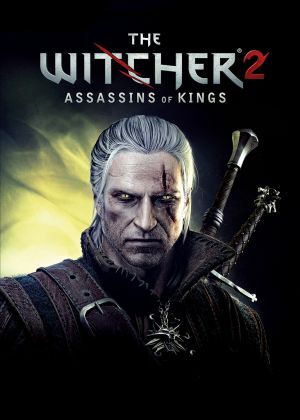 CD Projekt brings to you its latest sensation, the sequel to ‘The Witcher’,- ‘The Witcher 2: Assassins of Kings’. It is going to be released on May 17, 2011. In order to ensure the users a more facile and thrilling experience, the combat has been totally redesigned. Geralt has been empowered with several options. He can now switch to different styles while fighting, choose targets on the go, counterattack and quickly block incoming attacks, and use magic without hampering the speed of combat. The fight scenes have been made more aggressive, and thus users have to put in the extra bit of effort to save Geralt from all the adversities. The game is available in three editions, viz. Australia, UK, and Collector’s edition. So hurry up! And get your own copy of The Witcher 2: Assassins of Kings! Bethesda Game Studios is about to launch the fifth edition of its role playing game series, The Elder Scrolls, The Elder Scrolls V: Skyrim. After the grand success of the first four editions, the fifth one too is likely to grab everyone’s attention. It is the sequel to the fourth edition named, The Elder Scrolls IV: Oblivion, and is likely to be released worldwide, on November 11, 2011. The game scenario of Skyrim takes us two hundred years ahead of the time in Oblivion. The name ‘Skyrim’ may sound vague and absurd, but it has its significance within the world of Elder Scrolls. After the execution of its king, the province of Skyrim has broken into a civil war. God Alduin has arrived in the form of a snake with the motive of destroying the world. You have to play the character of the only surviving Dovankiin, which means born of dragon, and save the world from this predicament. So wait no longer! 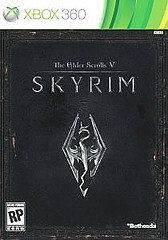 And rush to the nearest store and get your own copy of The Elder Scrolls V: Skyrim, as soon as it is released. 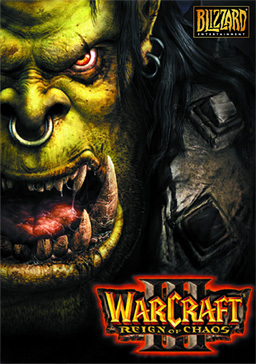 Warcraft III: Reign of Chaos is one of the best selling and most popular computer games of all times. It is sometimes referred to as RoC or WC3 or War3. Blizzard Entertainment, the American video game developer, launched this game on 3rd July,2002. This “Game of the year“ title winner belongs to Warcraft series of games, released in 1994.It is named so because it is the third game set in the Warcraft Universe. The fictional world of Azeroth is the playground of this game. There was a devil force called Burning Legion long back before the events of the game. The main objective of the Burning Legion was to obliterate Azeroth. A tribe called the Orcs was instigated by Burning Legion to attack Azeroth. The fight went on for years. Now the aim of the protagonist is to defeat Burning Legion. 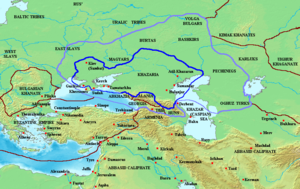 The game of Warcraft III is played on wide plains and fields, featured by rivers, mountains, lakes, and cliffs. The terrain is masked with an impenetrable dark cover in campaign mode. The cover is removed from the explored terrains. The areas which are out of sight are covered blanketed with fog of war. There are three objectives of the players playing the game. 1. To build settlements to acquire resources. 2. To guard against other rivals. 3. To prepare units to explore the terrain and attack competitors. Food,lumber and gold are the three main resource to be acquired in this game. To construct units and buildings, lumber and gold are needed. Food is required for maintaining the units,controlled by the player. A new feature of creeps, belligerent to all players, is introduced in this game. The creeps are commanded by the computers. Creeps’ main job is to protect strategic areas like gold mines or neutral buildings. Another interesting feature of this game is day and night cycle. Most of the creeps nap at night. This feature makes scouting during the night much safer. It also reduces the line of sight for most of the units. Eidos Montreal looks to be back in the hunt in 2011. Its first release, ‘The Original’, had won hearts, and is regarded as one of the best games ever. It followed it up with ‘Invisible War’, but it turned out to be nothing less than a disappointment. But with its upcoming release, Deus Ex: Human Revolution, it looks like it is likely to regain its lost ground. The game is likely to be released on 23/08/2011 in North America, and on 26/08/2011 in Europe. In this game, you have to get into the shoes of Adam Jensen, who is an ex-SWAT specialist. He has been appointed to look after the security of America’s most empirical biotechnology firms. But one day, a black operation team attacks and kills all the scientists you were supposed to protect. You are badly injured in the process and have to be given mechanical aid. Thereafter, scientific advancements start taking giant leaps, and the involvement of machines become an inextricable part of human life. You job is to think rationally and sincerely, and ensure that humanity follows the correct path. So hurry up! And grab your own copy of Deus Ex: Human Revolution! The Dreamcast is the first sixth generation game series. Sega,the multinational game developer,launched it in Japan in 1998. 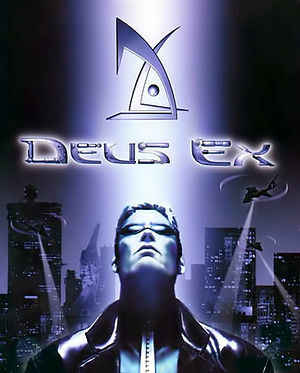 Due to it’s unique features, this game series gained cult status in the history of computer games. It inspired many other innovative and creative games,such as Crazy taxi,Shenmue,Jet Grind Radio,etc. The game console was considered a path breaking one. It is still held in high esteem. It is the first game which featured internet support for online play and an in-built modem. Sill today the game console is supported by various independent releases. Sega introduced Sega Saturn, a 32 bit fifth generation game in 1994. Sega Saturn was not very popular and struggled hard to gain market share. 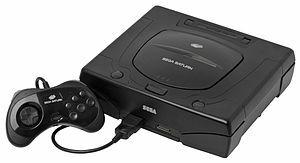 To overcome this debacle, Sega of America president, Bernie Stoller urged the Sega’s head office in Japan to developed a sixth generation game console. Thus the initiative of developing the Dreamcast took place. Two teams were assigned the task. One team was led by Hideki Sato and the other one was headed by Tatsuo Yamamoto. Both group used Hitachi SH4 processor. But Sato’s group selected VideoLogic PowerVR2 graphics processor while Yamamoto’s group chose 3dfx hardware for graphics. Ultimately Sega settled for PowerVR hardware. In 1999, after it’s release in US, over 400000 units were sold within 4 days. The main hardware parts used in this game series are Hitachi SH4 processor of 200MHz and 128 bit vector graphics engine. The graphics hardware features a PowerVR2 CLX2 chipset which could generate 7 millions/second. Other graphics features also include z-buffering,bump mapping,anti aliasing,order independent translucency,etc. One of the most popular accessories for Dreamcast is VGA adapter. It allows the user to play Dreamcast computer display and televisions. Apart from that, Visual Memory Unit,which provides different functions for different games, is also widely used. Arcade sticks and light gun controllers are also used for some specific games. A special link cable is used for linking Dreamcast to Net Geo Pocket Color. The whole gaming world seems to be waiting with bated breath for the latest upcoming release of Bioware- Star Wars: The Old Republic. It is going to be a MMO (Massively Multiplayer Online) game. The news about the launch came out for the first time in October 21, 2008. Till now, no release date has been declared as yet, but reports indicate that it might be released in the latter halve of 2011. The game scenario takes us thousands of years back, before the rise of Darth Vader. 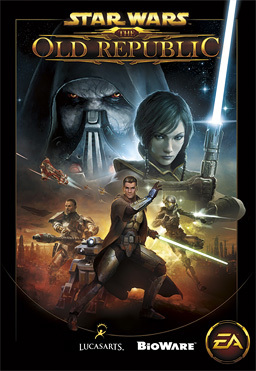 A titanic war takes place between the Old Republic and the Sith Empire, which eventually divides the galaxy. You have the options to choose your playing character as a Jedi, a Sith, or from a number of other classic ‘Star Wars’ roles. You have to take vital decisions which will ultimately determine your path to glory or downfall. Along the way, you will make friends with valiant compeers, who will fight for you, or betray you, as per your decisions and actions. You will be teaming up with other players as well, and battle together against your enemies in dynamic ‘Star Wars’ combat. So hurry up! And grab your own copy of Star Wars: The Old Republic, as soon as it is released. You are sure to have an enthralling experience. Since the launch of Populous in 1989, god games have been very popular in the gaming community. God game is basically an artificial game that pits the player against a divine and supernatural power to control the game on a large scale. Black&White is such a game,designed and developed by Lionhead studios. It was launched by Electronic Arts Inc and Feral Interactive for Apple Macintosh and Microsoft. An expansion named Black & White:Creature Isle and a sequel named Black&White 2 followed the original version. The game begins with a dramatic situation. A new God, controlled by the player, is born by the prayer of two parents. The purpose of the prayer is to save their drowning child encircled by sharks in the sea. The new born God saves the kid from the jaws of sharks. After the successful rescue of the kid to the shore, the grateful parents lead the God to their village. They plan to construct a bastion for the new God. But very soon it is found that several Gods exist with their citadel and followers. Every God wants to dominate the others. Among the all the Gods, one particular evil God, called Nemesis, wants to end all competitions and reign over the world. When the player’s citadel comes under attack from Nemesis, the player flees through a whirling vortex to a new island. There, the player is welcomed by another God, named Khazar. Actually Khazar is the one who sent the mysterious vortex to rescue the player. Khazar asks the player to help him against another God,named Lethys,the subordinate of Nemesis. In return Khazar promises to provide resources to rebuild the player’s village. In the mean time, Nemesis obliterates Khazar. Lethys abducts the player and takes to another land through vortex. There the player is held by three magic pillars. To break free, the player must capture three villages. With the help of creed, the player achieves that and returns to the first island through a vortex. The first island is now attacked by Nemesis with fireballs,rain and lightning. There the player obtains the final creed ,destroys Nemesis and ends the attack forever. 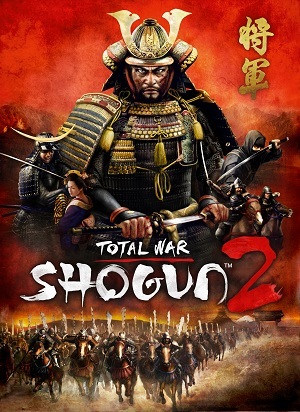 SEGA continues to thrill its customers with high definition war games with its latest release on March 15, 2011, Shogun 2 Total War. It has been reported to have implemented several new, innovative and advanced techniques for advancement in the battlefield. Moreover, with updated visuals and higher graphics quality, Shogun 2 Total War promises to be one of the biggest releases this year. The sequence takes us back to the middle stages of the 16th century Japan, when feudalism in the same had taken colossal structure. Several clans have cropped up, which are at cross swords with each other, which ultimately results in the downfall of the unified government. The player has to get into the shoes of a clan leader, called Daimyo. The mission is to re-unite Japan by diplomacy, economics, and military engagements, and become the undisputed leader of a re-united and pacified Japan- the new Shogun. So wait no longer, and get your own copy of Shotgun 2: Total War. And get the thrill of the latest SEGA masterpiece. Valve Corporation brings to you another heart throbbing first person puzzle platform video game. It is the sequel to the showstopper of 2007, ‘Portal’, named ‘Portal 2′. It was supposed to be released in the latter half of 2010, but the release date was indefinitely postponed. It has been finally released on April 18, 2011. In this game, the user can play two types of campaigns- 1) Single player campaign, and 2) Cooperative campaign. In the single player campaign, you get to play the character of Chell; and in the cooperative campaign, you get to play as one of the two robots- Atlas or P-body. You have to ensure that your select player completes its journey safely, through a series of test chambers in Aperture Science facility, amidst all sorts of hurdles and adversities. So wait no longer! And grab your own copy of Portal 2 at the earliest. Within this brief guide become familiar with about wow Primary Service Profession of Enchanting. I’ll also provide you with some useful tips that will highlight how you can better employ this profession. You’ll discover some secrets that can help to create Enchanting more effective for you personally. Additionally, you will learn the best way to build an income with Enchanting in Wow. As with lots of the main service professions in Wow, enchanting is just one of individuals income generating and saving chances that may truly assist you over time if you possess the time for you to devote. Like a primary service profession, it counts towards your limit of two, however with the best class and race, it may be well suited for your game success. As being a Primary Service Profession, Enchanting does count towards your limit of two Primary Professions. Enchanting provides you with a chance to enchant weapons and armor permitting you to definitely permanently enhance them. This doesn’t involve the development of new products. To be able to make products which are enchanted you initially require products that aren’t enchanted. It’s also essential to disenchant magical products to ensure that you are able to get the reagents that are required to enchant other products. Enchanting may also be used to produce oils that may be put on ammunition to be able to grow it with temporary improvements that may be combined together with permanent enchantments for any greater effect. What enchanting does is permit you to enchant weapons and armor to boost them for permanent gains. You don’t create new products, but takes existing products and adds new qualities for them. You may also disassemble existing enchanted products to achieve the reagents inside them for crafting new enchanted products. You don’t only start out apart and make brand new ones, but you may create temporarily effective oils and enchantments for accessory for ammunition throughout a fight. These temporary changes can be included to already enchanted weapons and armor for more effect too. Though you may create new weapons with enchantment, disenchanting will really destroy a lot more products than every other professions in the overall game. Most of the bi-items you obtain from deconstructing products can’t be sold again and therefore are thus pure waste. Marketing these to other gamers or sell the services you provide though, among the prime methods for making gold through enchanting. Because disenchanting necessitates the destruction from the original magical item, this will make Enchanting a larger consumer of assets than the other Wow Professions. This is particularly so because of the truth that the bi-items for example shards, essences, and mud you get in the disappointed products can’t be offered to suppliers. You are able to, however, sell these to other WoW gamers in addition to offer them the services you provide in return for payment. At the start, accumulating your enchanting skill is better carried out by grey products and straightforward enchantments. Sell the products to suppliers for any small profit and make your skill gain levels. Once you have been enchanting for some time, begin using instances and greater level arenas to farm reagents and products for disenchanting. You’ll build levels, gold, and products for enchantment in this way. A great way to keep filled on needed reagents would be to farm instances. This can help you stay provided with products to disenchant providing you with a stable way to obtain reagents. Make certain that the client has got the reagent required for the asked for enchantment. When they not have the needed reagent however, you have it available yourself, then component that in to the overall cost that you’re charging for that enchantment. Another factor to bear in mind is the fact that you won’t want to come with an selling price that’s so unreasonably high that it’ll scare the customer off. Be reasonable together with your rates. It may be beneficial to market your Enchanting services inside your capital town.